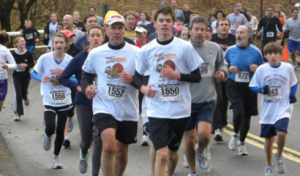 Our Annual Morristown Township 5k Turkey Trot supports LVMC and the Interfaith Food Pantry. Each year thousands of runners and their families participate. For information about supporting this popular community event, please contact Debbie Leon at (973) 984-1998. "Since I started with LVMC, I have been improving my English and now I have a great job." “I am thankful to LVMC for so many reasons. I will be graduating from CCM in May and I want to thank my tutor Barbara for making it possible, and to thank her for all her help”. Copyright © 2015 Literacy Volunteers of Morris County.